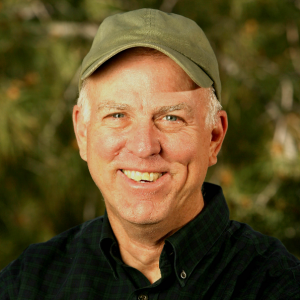 A fire historian and wildfire expert sets the record straight. The allusion to fire as destructive is an old trope. 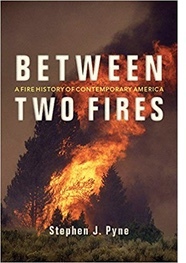 What is most interesting is that both men – neither of whom has any personal experience with wild land fires – add a coda. Fires destroy, but fires also renew. Conjuring up a fire, even one massive enough to purge the Trump administration, is not sufficient. It is the catalytic consequences of the fire that make recovery possible. This, too, has literary precedents. There are plenty of myths from the Norse Ragnarok to the Stoics’ Great Fire in which flames end one world and birth another. Such allusions and allegories did not spring out of mind and text. They abstracted what people saw in the fires of quotidian life all around them. Then, over the past century, the landscape of open burning receded, and only an ever-dwindling fraction of the population understood the referent. They no longer burned stubble, fired pasture, burned the woods for wildlife and berries, or used flame to spring clean. They lived in cities, suburbs, and exurbs. They knew fire on screens and through the random candle or caged barbecue. Free-burning fire persisted mostly as a California quirk. 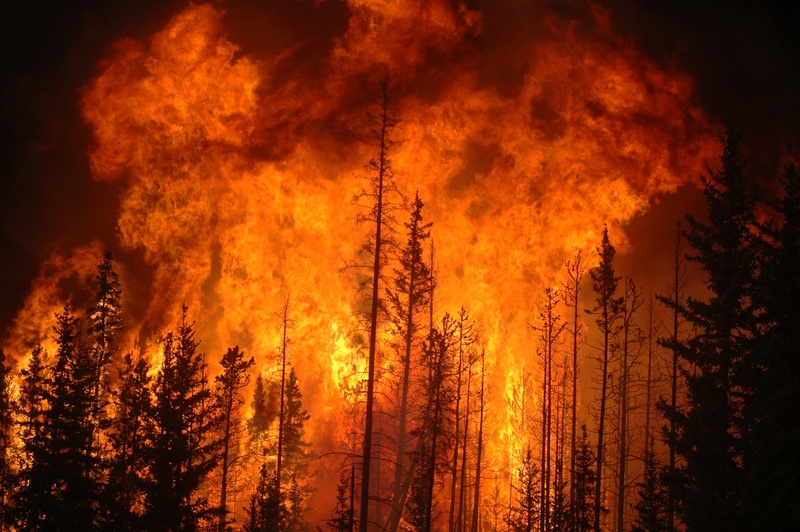 Fires were seen as a freak of nature that happened out West like a grizzly bear attack. Fifty years ago the American fire community began a revolution. It realized that the great task before the country was not just to prevent bad fires but to promote good ones. Too many biotas suffered a fire famine; too many were stockpiling fuel like 2x4s in a kiln. In 1968 the National Park Service rewrote its policies to encourage more burning; ten years later the Forest Service followed. In 1988, watching Yellowstone aflame, the public got a big-screen, Technicolor preview of what those reforms might mean. 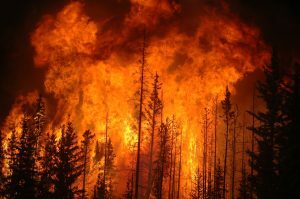 Now fire seems everywhere, and defined fire seasons seem to have gone the way of defined pension plans. Fire soars across headlines. Flames have leapt from California to Colorado and even to Gatlinburg, Tennessee. Conflagrations have become the flip side to melting glaciers, the early tremors of climate change, and a graphic emblem of the Anthropocene. If you want to grab eyeballs, put flames into a photo. If you want to animate a message, put a fire in it. Which is just what James Comey and Steven Schmidt have done. Yet in reality the U.S. still suffers a fire deficit overall. The amount of burned acreage continues to rise, but the amount of good burning is not keeping pace. The sense that good fire might stimulate ecological betterment or substitute for bad fire has been elusive for most of the general public, especially in the northeast. The message seems to trail far behind the two prevailing media templates for fire stories: fire as disaster and the firefight as battlefield. Yet perhaps the fuller message is getting through. Fires blasting into towns no longer seem like an alien visitation; they are of a piece with other expressions of American violence, like mass shootings. Much more interesting are those moments when it appears that the public, even political operatives and former FBI directors, might understand that fire can be a process that does useful work and outside cities is something we need to live with. So if we are going to carry fire into our political discourse, we might explore its nature a bit deeper. We might want to add one of the fundamental insights of fire ecology, that landscapes adapt not to individual fires but to patterns of fires. The fire regime is a term despised by journalists, but trying to speak of fire without reference to regimes is like talking about weather without referring to climate. Good or bad, fire synthesizes its surroundings. Messed up landscapes can spark messed-up fires. Fire takes its character from its context. Some allusions are strengthened by getting their referent right, particularly where, as with fire, the referent is more often a source than a recipient of metaphor. Fire management is not a one-and-done blowout. It’s not enough to kindle a spark and watch the ensuing conflagration. It’s about a pattern of burning, about persistence and practice, about lots of small fires and the occasional big one, about getting the right kind and mix of fires in the right setting, because even when used metaphorically, fire remains our best friend and worst enemy.